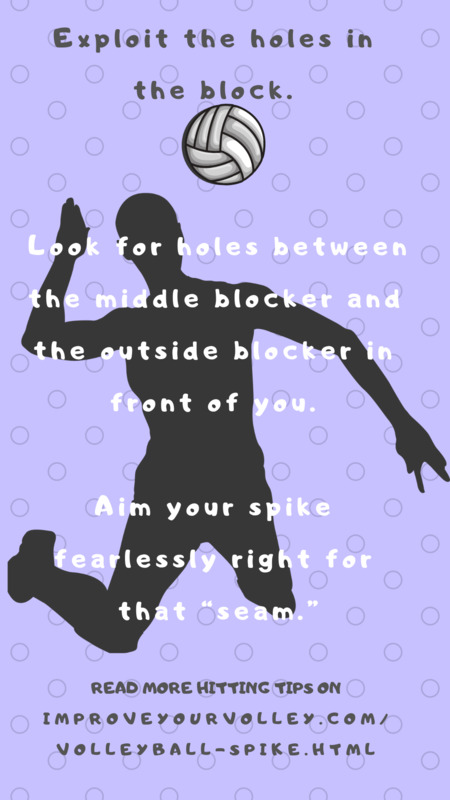 Learn how to be a mentally tough outside hitter with the volleyball drills and skill we do in semi-private training! 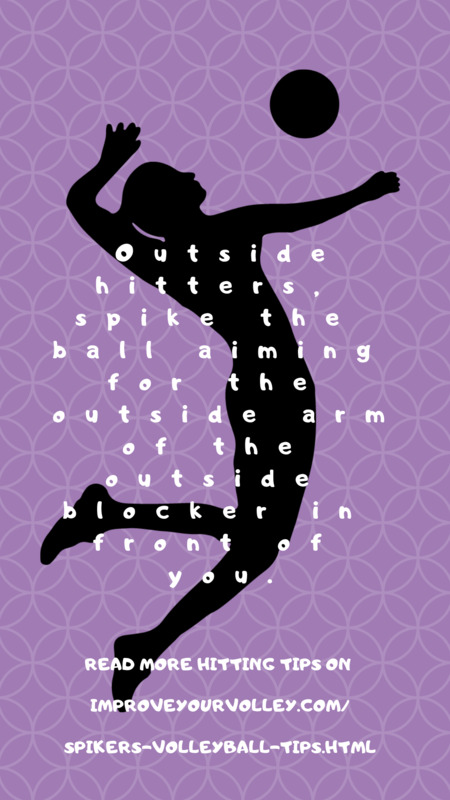 The volleyball drills and skills we do for hitters in semi-private training sessions are designed to help you improve the various ways you need to be able to attack or spike a volleyball past the block. 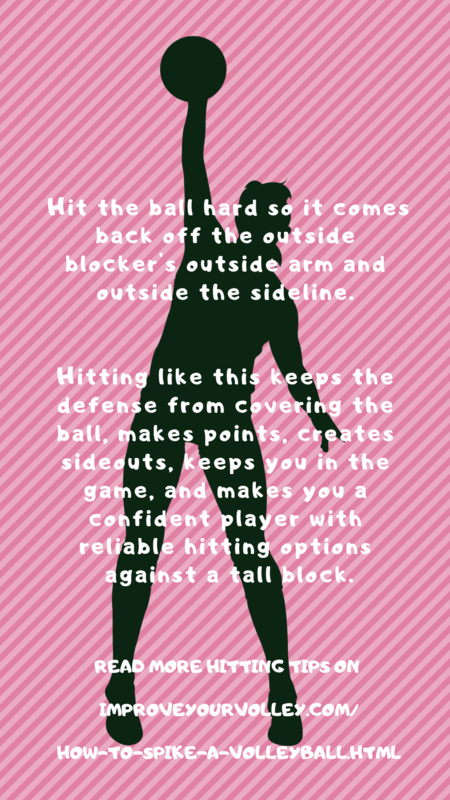 Certain hitting volleyball drills and skills study are designed to help players develop an aggressive mindset when they go up to hit. Hitters have to learn how to hit balls aggressively for points and outside hitters have to be ready and able to hit alot of balls. Watch highlights from week 5 of the premiere women's Volleyball Nation League competition going on all summer. 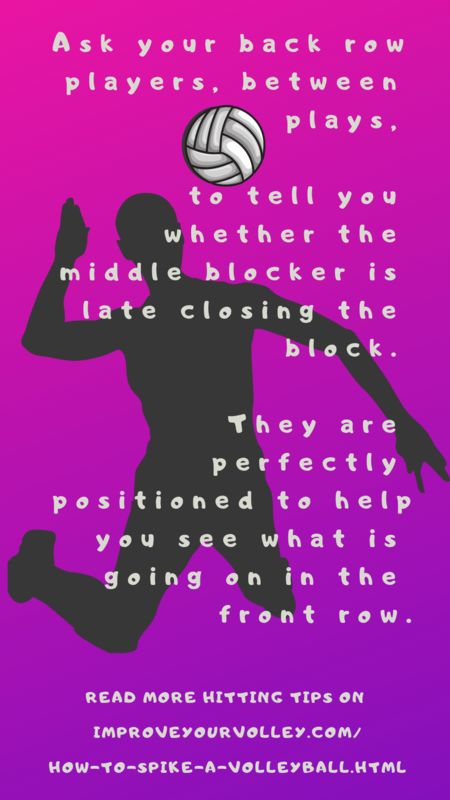 When the setter is at the net, waiting to run her offense, she faces her left side outside hitter in Zone 4 and middle blocker in zone 3. 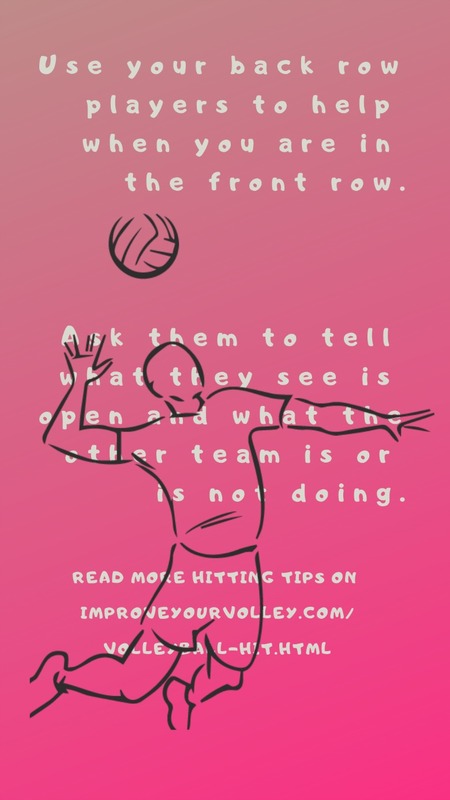 This puts the setter in a position to give her outside hitter alot of sets, especially a setter who is less experienced and doesnt have the talent to give many balls to the middle or back set behind her to her setter in Zone 2. 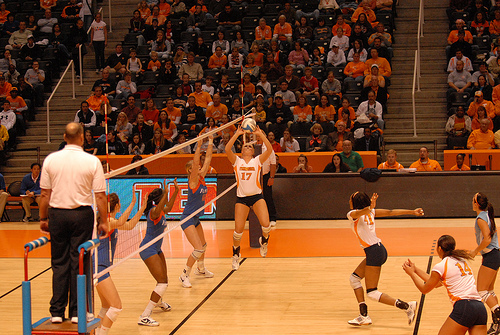 Tennessee setter # 17 is running her offense facing her middle blocker #41 and her left side hitter #14. The left side hitter should know she is going to get the majority of the balls set by the setter. Because at the beginning of each rally, when her team is in serve receive the setter sets up at the net facing the left side of the court. She sets up just right of the center of the net always keeping her left side hitter and middle blocker in front of her. 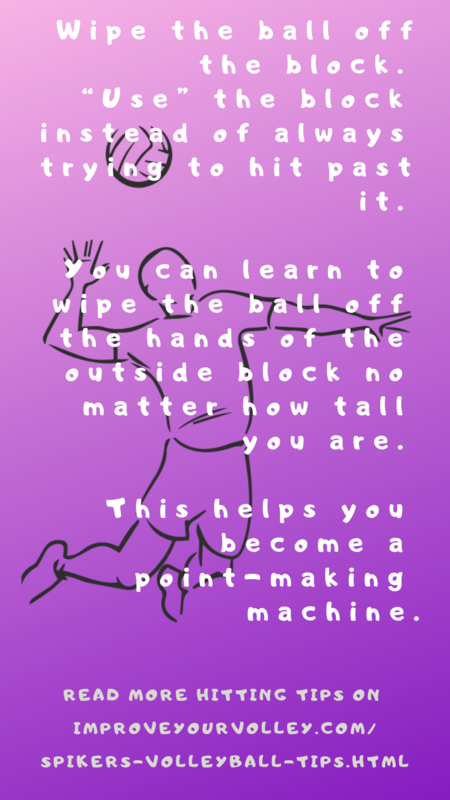 Its easier for her to get the ball out to the left side of the court, especially if she has just received an imperfect pass which forces her to set the ball on the run. If she wants to set the right side player behind her she will have to deliver a back set. 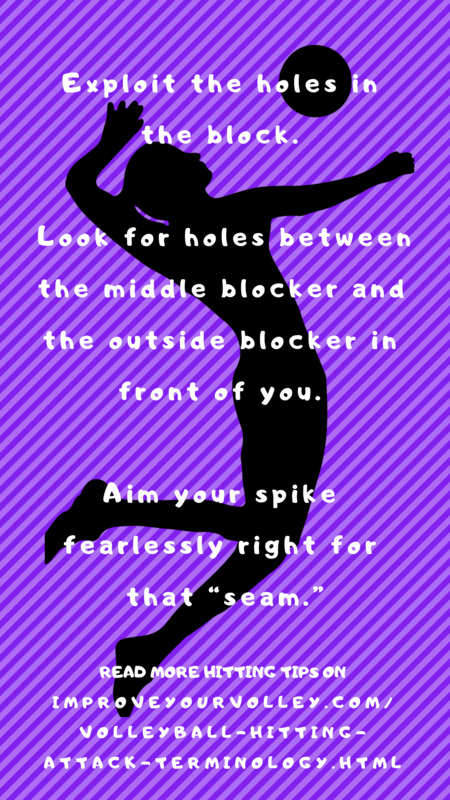 The setter back sets to the right side hitter in Zone 2. 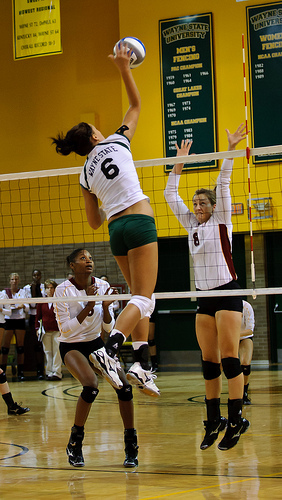 A left side hitter on most high school and club teams should expect to spike the ball quite often during each set, so they need be well-conditioned athletes in that position. 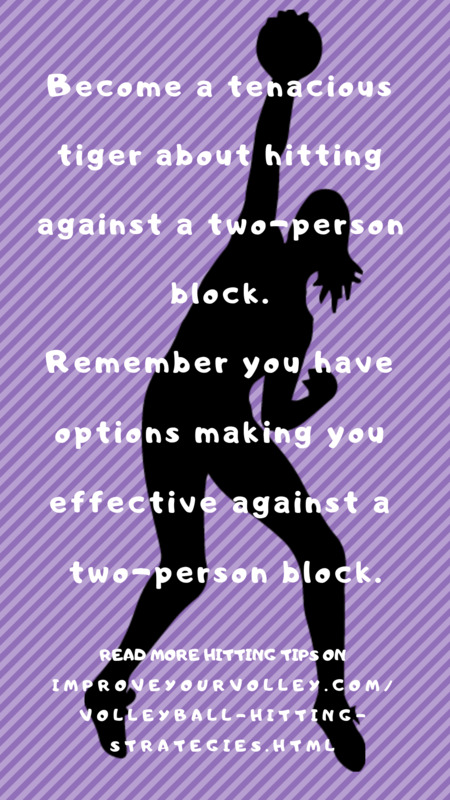 So another reason to do hitting volleyball drills and skills is to build up physical endurance, mental strength and confidence to hit a lot of balls against a two-person block during a match. You learn not to just hit the balls but to develop the fearlessness and emotional toughness to repeatedly be in pressure-filled games and be able to terminate match winning points without backing down or being afraid. Check out this hitting drill called Nine Person Pepper. while working on their physical conditioning while having to run under the net to hit from the left side and the right side.